It's great to just stay in sometimes and enjoy a cocktail from the comfort of your own #apartment. Not only does it save money, it's safer as you don't have to get behind the wheel after imbibing. 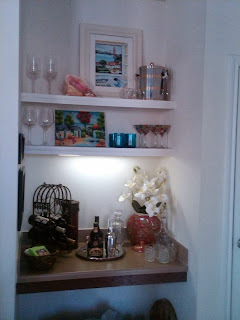 Check out our #PinterestBoard on creating #BarSpaces at home for lots of great ideas for setting up a cocktail corner in your space! Want to find a great apartment to sip your drinks in? Give Austin Apartment Specialists a call today at 512-241-1111!